India is well known for its diverse culinary delights and the sheer size of its spectacular food menu. The country’s cuisines are as diverse as its cultures and traditions, languages and landscapes, and people and demographics. However, even amongst this diversity, there is a unity of choice, of flavor and of preference. 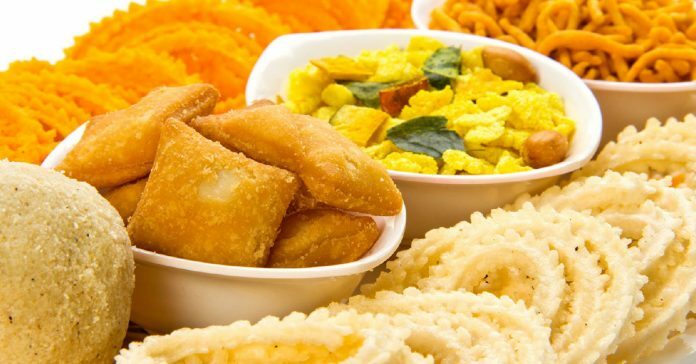 In today’s post, we are reviewing the five most loved snacks and fast foods in India. It doesn’t matter that you are from north, south, east or west India, the love for these evergreen snacks is enduring and endearing. This fried dish with savory fillings of potatoes, onions, peas and lentils is one of the most recognized Indian snacks of all time. 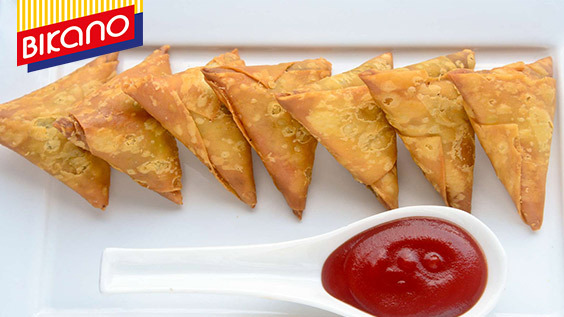 Every rainy season, the demand for samosas skyrockets in India, for we love this tetrahedral dish for its flavor and warmth. Best served with green chutney or Imli ketchup, a special samosa at your nearest Bikanervala outlet will surely appease your hunger for good. An Indian take on the sandwich, the veg sandwich has become a crowd favorite, especially in the metros. This quick and hassle-free, ready to eat food not only offers nutrition, but is also tastes good. 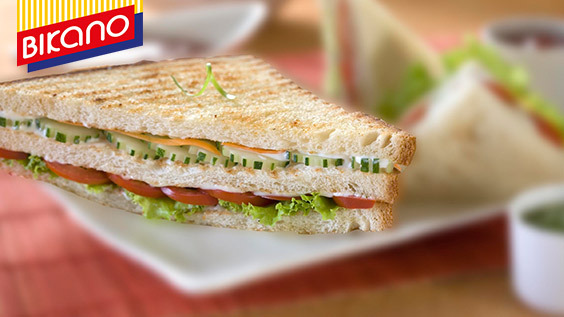 The Bikanervala veg sandwich stops hunger in its tracks and gives your day the perfect start. Now we are talking indulgence aren’t we? 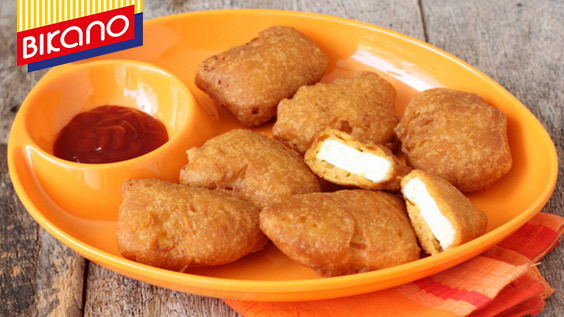 The Paneer Pakora is a fried snack made from freshly cut cottage cheese dipped in Besan and spicy filings. Combining the goodness of cottage cheese, veggies, gram flour and mustard oil the snack is an instant hunger buster. Have a freshly made Paneer Pakora at your nearest Bikanervala Indian Sweets Restaurant and we bet you will come back for more. 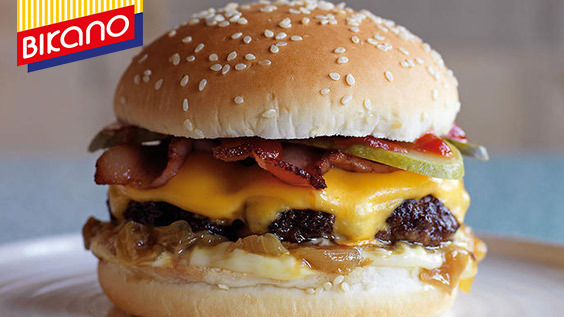 The Bikanervala cheese burger is American in name and Indian in flavour. Prepared with the best quality bun breads, cheese, veggies and spices, the cheese burger is a ready-to-eat and take-away snack from Bikanervala sweets and namkeen shop. One of the most fulfilling Indian breakfast snacks, the Chola Bhatura is a Punjabi dish, as tangy and delightful as the culture it represents. 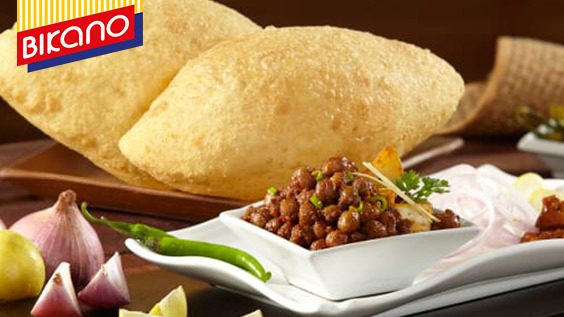 Bikanervala offers the best quality Chana Masala and soft Bhaturas to make your hunger melt away with every bite. So, the next time you are onboard the hunger express, don’t wait and get off at the nearest Bikanervala outlet for a fulfilling diet.